It’s hard to think of a topic in the startup community more fraught with emotion than the “e” word. That’s right, we’re talking about startup equity. “Easily 60% of the time founders end up in court, it boils down to equity distribution issues,” observes startup attorney Matthew Rossetti. And he would know. He’s in those courtrooms a lot of the time. The driving force behind these disputes, Matt says: interpersonal conflicts arising out of questions about fairness. And when people in the startup world talk about “fairness,” what they’re usually talking about is how their startup equity is split. Can you blame them? The startup ecosystem is saturated in stories of spectacular billion-dollar exits that leave everyone with a stake in the company set for life. It’s not that hard to understand why people have feelings about how much startup equity compensation they get. We’re only human, after all. But here’s the thing: it doesn’t have to be this way. “You win or you die” is great for Game of Thrones. It has no place in a startup office. , Managing Director at Fair and Square Ventures, LLC, has come up with a better way to approach startup equity agreement for Founders and early-stage employees. In fact, he literally wrote the book on it. Here, Mike walks us through the basics of his not-so-mythical “perfectly fair” approach to splitting startup equity compensation – and why everything you think you know about startup equity distribution is wrong. On that note: yeah. Everything you know about startup equity agreements is probably wrong. How do we know? Because you’re probably thinking about equity distribution the way most people do. Which is wrong. The traditional thinking goes like this: you, Joe, and I start a company together. That company is the pie, and we split that pie between the three of us based on our feelings about how much our contribution to the company is going to be worth…someday. Mike calls this method of splitting equity the “fix and fight” approach. The problem? It forces you to make a ton of predictions about the future. When you try to split startup equity the fix and fight way, what you’re basically doing is trying to determine your share of a pie that no one can see based on a lot of stuff that hasn’t even happened yet. And here’s the thing about humans: we’re really bad at making predictions like that. So what’s the solution? It turns out it’s pretty simple: since the future is unknowable,take the future off the table. Don’t base your decision about equity compensation on how much the person’s contribution may be worth at some point in the hypothetical future. Base it on how much they’re willing to bet on the company’s success right now. Mike calls this approach a “dynamic split.” And it’s all about one thing: risk. To illustrate, Mike goes to the example that epitomizes risk taking: the blackjack table. “You and I play blackjack as a team. We each bet $1. Winning is unknowable, but the bets are knowable and obvious,” Mike explains. Startup equity works essentially the same way. If one person is willing to bet bigger on the company’s success, then it stands to reason that their share of the pie should be larger. Whoever is willing to make the biggest bet – that’s who gets the biggest share of equity. You can’t know how much someone’s contribution will have turned out to be worth five years from now. But you can be damn sure what they’re willing to give up to make that future possible right here, right now. Startup EQUITY IS NOT A PRIVILEGE. OR A RIGHT. This brings us, conveniently enough, to another hot-button topic in the world of startup equity: who gets it and who doesn’t. There’s this idea out there that if you work at a startup, you get equity – that that’s just how working for a startup works. But, as Mike explains, that shouldn’t necessarily be the case. What matters isn’t where you work – it’s what you’re risking to work there. In other words: if you’re a developer, you don’t get to demand a hefty equity package on top of your market-rate, six-figure salary. If you’re the company’s founding engineer and you’re getting paid in gimlets and a free dinner here and there, on the other hand? Then you have a pretty compelling case. Which brings us to the flip side of this “who gets equity” coin. Because if anyone who’s getting paid market rate doesn’t get equity compensation, then it stands to reason that everyone who’s not getting their market rate should. We’ll put this in bold, because it should come through loud and clear: if you are paying your employees less than their market rate, they should have a stake in your company. It doesn’t matter who they are, or how “unsexy” their role is. If they’re working for you, when they could be working for someone else, they’re taking a risk. They’re passing up more secure jobs that might pay more in order to bet on building something awesome with you. That risk deserves a reward. So do it. So what does this brave new world of dynamic equity splitting look like in practice? Determine everyone’s fair market salaries. Keep track of payroll and expenses (which you should be doing anyway). Get to break-even, or raise a VC round. Calculate the split based on the difference between each person’s market value and their actual pay. Everyone’s happy. And if they aren’t? Well, they can deal with it. The best thing about a dynamic equity split: it takes all the resentment and the hard feelings and the politics out of the equation. Startups are an act of love. Like love, they have nothing to do with what you are expecting to get – and everything to do with what you are expecting to give. This fixation with getting “my fair share” is crap. Love your company, love your vision, love the people you’re building it with. It’s that simple. Now, get out there and build some pies worth slicing. Have a story about a time quibbling over startup equity agreements created bad blood with your team? Share it in the comments below – we’ve all been there! Past the bootstrapping stage and ready to raise some capital? Check out Jenny Lefcourt’s lesson on Fundraising Series Seed. 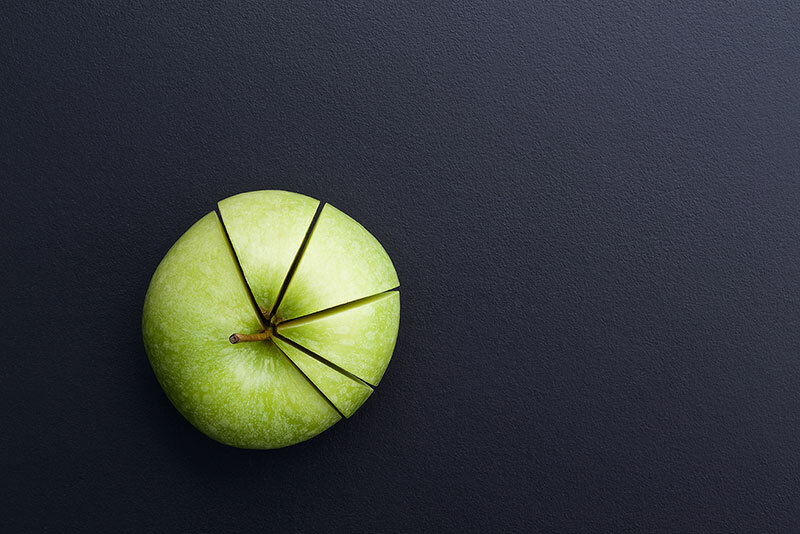 Need help understanding how to split the equity pie with investors? Here’s a post from Anna Vital covering exactly that. Want another story about how conventional wisdom about startups can lead you wrong? Read Jonathan Siegel’s story about The L’Oréal Fallacy of exiting your startup.